Nothing on the planet makes an interior space look better than a fresh coat of paint. It can update an outdated space, or bring new life to a room that’s desperately in need of a shot of energy. But not all paints, and painters, are built the same, and your interior painting project will be the first thing to suffer if not done correctly. 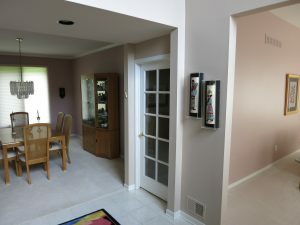 That’s why people across all of Metro Detroit trust us to do their interior painting work – when they want something done right, they know to call Color Concepts. Interested in our interior painting services? Give us a call at (734)-437-7717 to learn more about how we can bring your vision to life! Interior Paint jobs need a trusted professional. Anyone can slap paint on a wall. Interior painting though is a multi-step technical process. From selecting your materials to priming and painting, every step is vital to the overall success of your paint project. 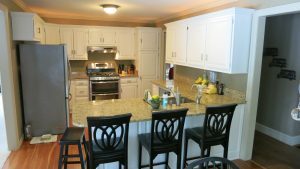 At Color Concepts our experts are trained in not only applying paint, but also in assisting you to select colors and styles, prepare your surfaces and repair walls, and anything else it takes to give you the kind of paint job you’ll enjoy for years to come. Help you select the right type of paint for the job. Perform a color consultation with you to select that perfect color. Prepare the painting surface with cleaning and repairs. Prime and paint properly for the best results. Leave the area better than they found it.